GC Final Fantasy: Crystal Chronicles (USA) "all dungeons" in 1:59:00.32 by Wobmiar. Final Fantasy: Crystal Chronicles is an action role playing game developed by The Game Designers Studio and published by Square Enix in 2003 for the Nintendo GameCube. 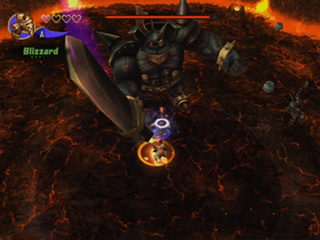 This was the first Final Fantasy game to include real-time fighting, which has since become a staple of Final Fantasy games. It was also the first Final Fantasy game to be published on a Nintendo console since Final Fantasy VI on the SNES. Wobmiar completes the game while completing every dungeon in just under two hours.